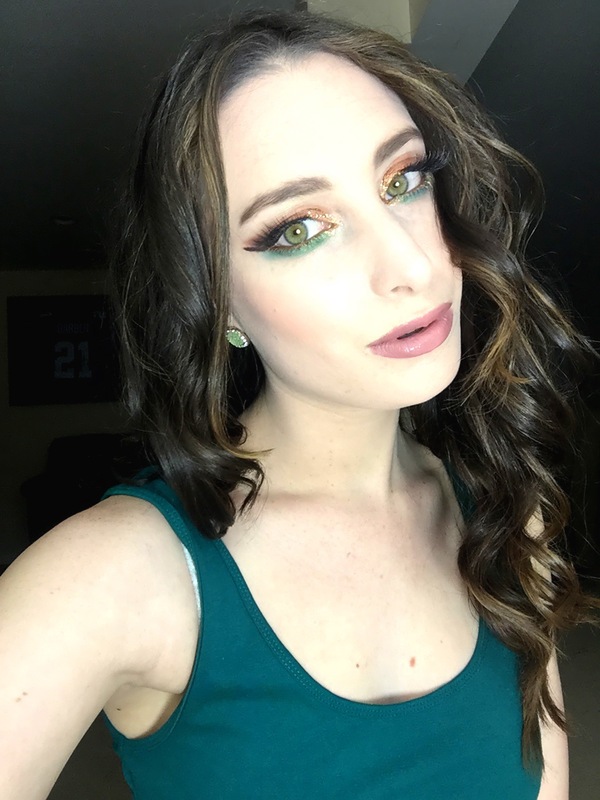 St. Patrick’s Day is right around the corner, many people are celebrating this weekend, so here’s a look for all of you hitting a bar or the parade! I’m 1/4 Irish, that’s where the green eyes and pale skin come in, but unfortunately I’m just celebrating at work. But I’d still wear this look for a night out. 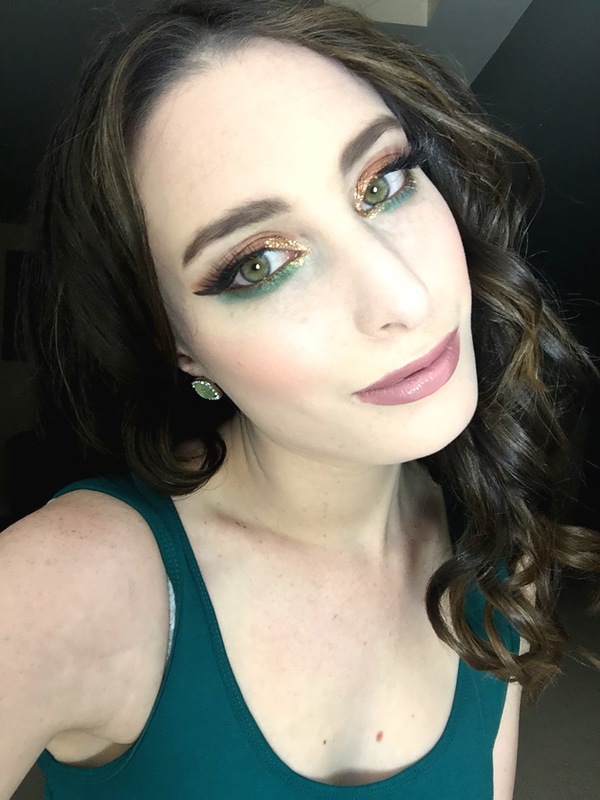 I think copper colors make green eyes pop, and I tend to gravitate towards these colors year round; I also love a pop of color on the lower lashline. So mix it up whether it be green, blue or purple copper looks great year round. So find that pot o’ gold or at least get that hot leprechaun to buy you some green beer ;). Happy St. Pats! Look details below. Eyebrows: Anastasia Beverly Hills (ABH) Brow Wiz in Medium Brown, Tarte Amazonian Clay Brow Mousse in Medium Brown to fill in and NYX Brow Mascara in Brunette to set. Crease: ABH Orange Soda, LORAC Megapro Sepia. Lid: Colourpop Super Shock Pigment in Game Face. Lower lashline: Urban Decay Vice 1 Palette Junkie, Kat Von D Spellbinding Palette Gunner and Birdcage. Similar: Milani Bella Eyeshadow in Emerald. Bottom: Urban Decay Lucky 24/7 Glide on Pencil in Lucky (discontinued) but their Smog pencil is almost identical. Lips: Liner: NYX Earthtone. Lipstick: NYX High Voltage Lipstick in Flutter Kiss. Gloss: Revlon Bellini.